Here are some handy hints for what you should do if you see a bird you do not recognise. Watch When you see a bird, don't immediately try to flip through the pages of a bird book to identify it. Even if you have one with you! Every moment of viewing time is precious. Keep your eye fixed on the bird and watch it - absorb details of its markings, movements, song, feeding habits, and size. If you have a camera/mobile phone with you photograph the bird. Listen Try to listen to calls. If you make a conscious effort to listen, there is a chance you will remember the bird's song which is one of the best bird identification tools there is. Estimate size A general picture of the bird, that is its approximate size and shape, will often give you many clues when placing it into the correct family of birds. Therefore, begin with an assessment of the bird's overall appearance. What is the approximate size of the bird? It's easiest to estimate size in relation to well know birds. For instance, is the bird you are looking at about the size of a sparrow or a blackbird or a crow? Note details Start at the head first. Look for distinctive strips and patches of colour including crown stripes and eye lines. Also note the colour and shape of the bird's bill. Next, look for details on the bird's body, wings, and tail. Keep an eye out for wing bars, colour patches, and markings on the bird's body, when it is stationary or in flight. What colour is its back and its belly? How long is its tail in relation to the bird's body length? How does it hold its tail? Does it have a forked tail or is it square or rounded?Now study the bird's legs. Does the bird have long legs or short legs? What colour are its legs? Study behaviourDoes it walk or hop? If it is feeding, does it forage, tilting its head to watch for insects in the grass, or on the shore does it use its beak to probe the sand? If it flies off, watch for a pattern in its flight, does it swoop up and down in gentle arcs with each wing beat or does it glide gently and steadily? Write down your observations After watching the bird, as soon as you can jot down your observations for later reference. Note the location, date, time of day of the sighting. 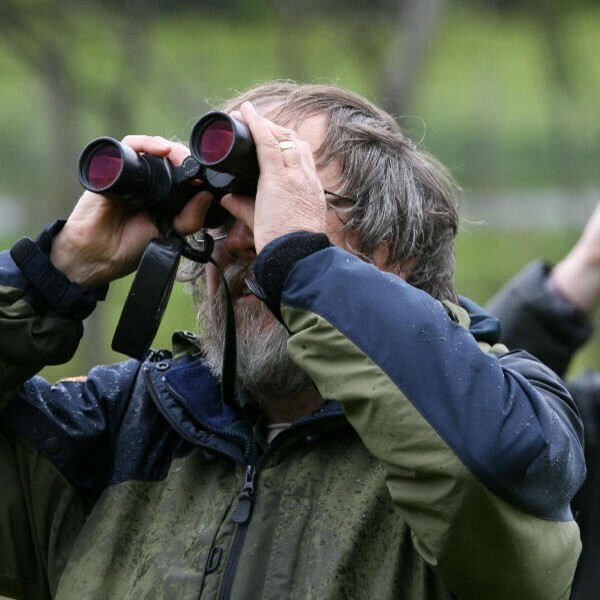 From size to markings to behaviour, write down anything you noticed, it can all help when you later sit down with a bird book or contact the local bird recorder to try to answer the question "What's that bird?"